Tom Feller and Chris Hill were born across the Ohio River from each other—Tom in southern Indiana and Chris in northern Kentucky. Both have performed with bands from bluegrass-rich areas of Indiana, Kentucky, Ohio, and Virginia—Tom with Jerry Williamson & Redwing, The Larry Stephenson Band, Rhonda Vincent and the Rage, and with Nashville songwriter Kim Fox in the group 3 Fox Drive... Chris with Gerald Evans and Paradise, The Wildwood Valley Boys, the James King Band, and The Karl Shiflett and Big Country Show. 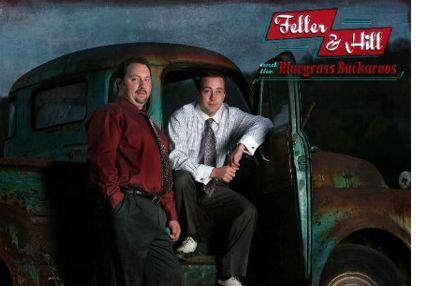 The duo is projecting a release date of June 2012 for their first Feller and Hill and the Bluegrass Buckaroo project.